Diamond Ranch Academy | Stone Ridge Campus for 12-16 Year Old Boys: Basketball "Scenic Tour" !! The basketball team went on a trip on Wednesday. 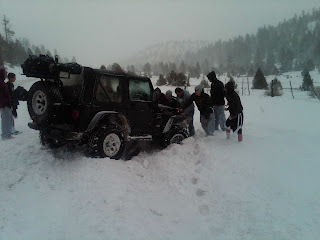 We Panguitch High School call and want to play us so we jumped in the van and started on our way. 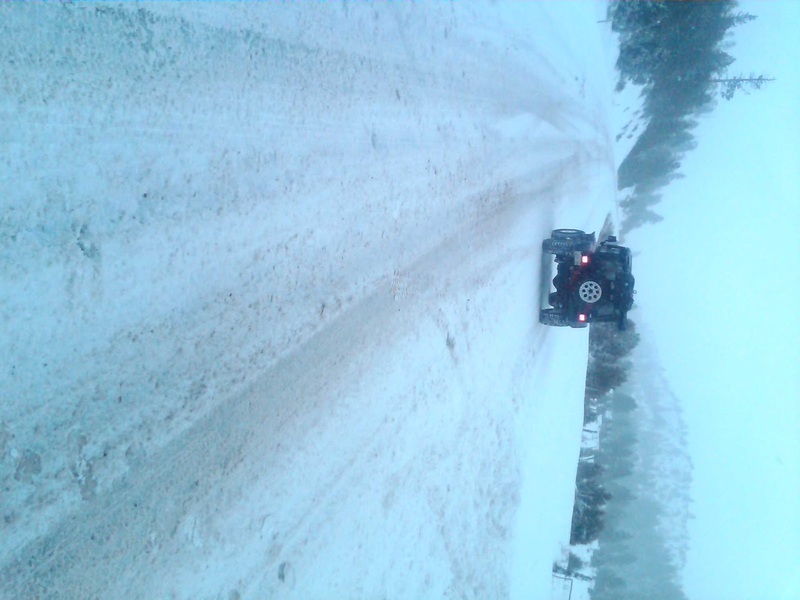 When we were driving we noticed a large storm in front of us and we called to get a weather report and the report we got was "the roads were fine to travel but go slow." This report came from the local weather service. Then we started to climb up the mountian pass to get to teh school and the snow started to come down harder and faster. So we made the call to the school and let them know we would not be coming. Here are some pictures of our little adventure. The team loved it and we had some pretty interesting things happen. 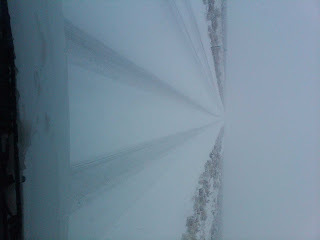 This what the road looked like when we turned around and cancelled the game. 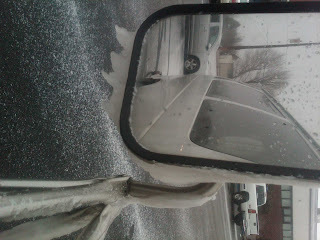 Even though we were only going 15 mph the ice still built up on the mirrors! On our way back we saw this Jeep off the side of the road and the boys really wanted to help and so we all jumped out and started to push. The man was really thankful and had been there for awhile in the cold.